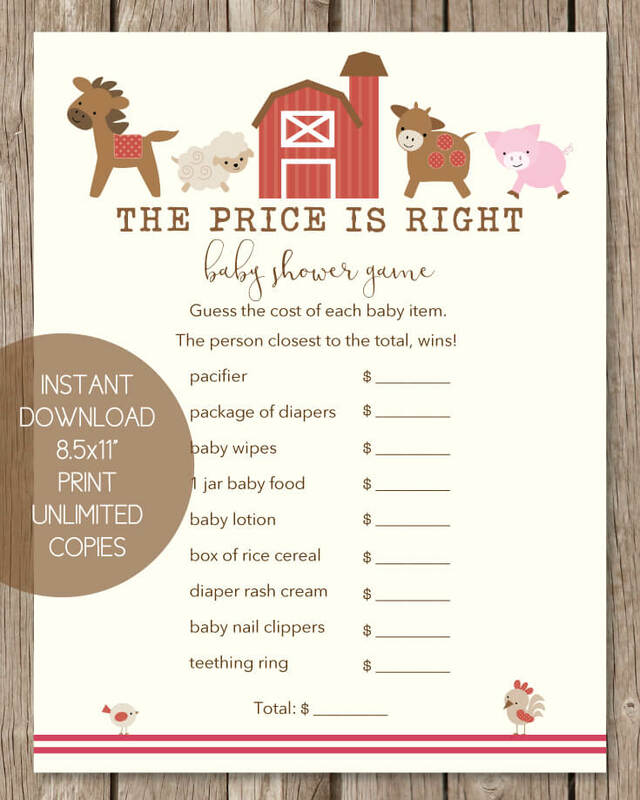 We have come up with a barn load of cute, farm animal baby shower ideas! From hay bales, to cowboy hats, to little red wagons, we have got you covered! 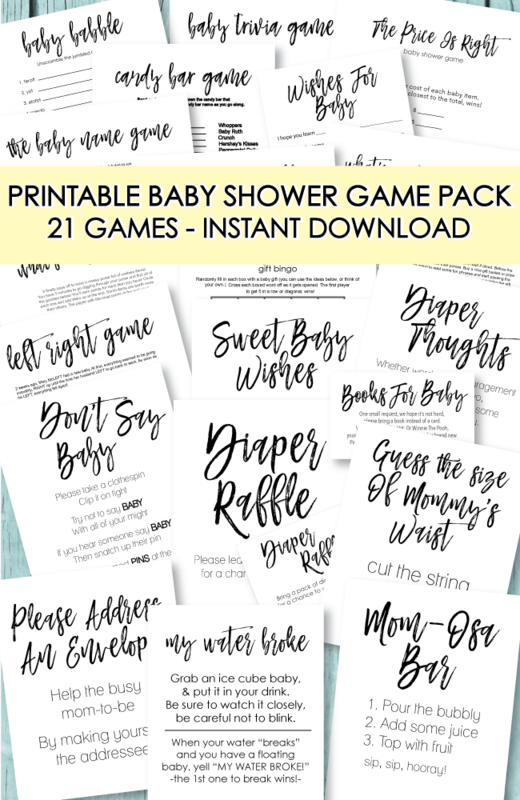 So get ready to host the cutest shower around! 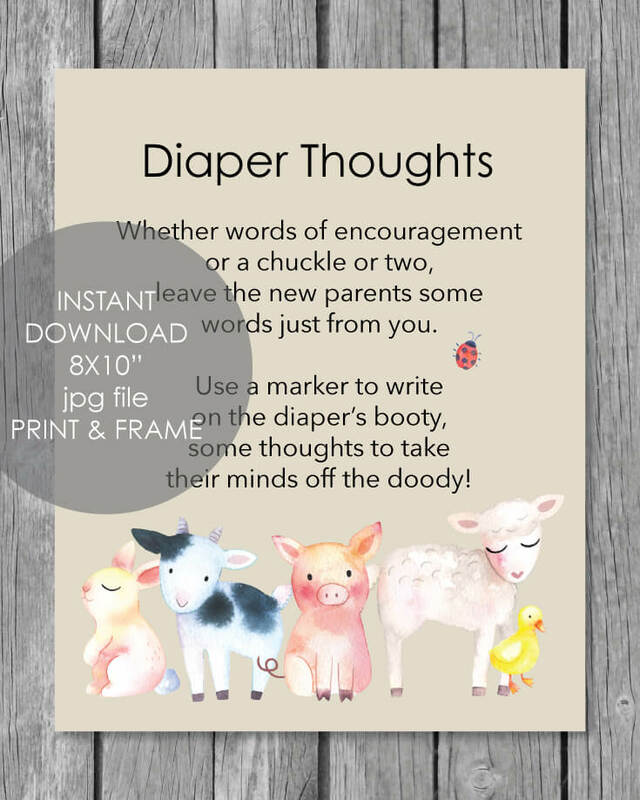 Decorate in style with cute banners, farm centerpiece displays, printable baby shower games, one-of-a-kind favors and matching tableware! Guests are going to be so impressed with all of the cuteness and creativity going on! Start off by grabbing a notepad and writing headlines on each page: Favors, Food, Cake, Decorations, Supplies, Games, Gift. Then jot down any ideas you have for each topic. Scroll down below to get easy tips and ideas for planning each part of your farm animal party! 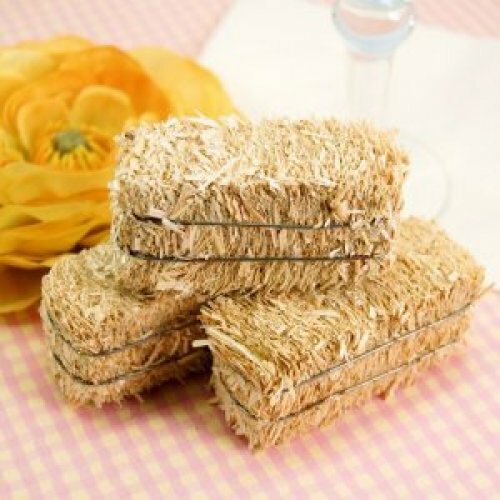 When decorating, you can use mini hay bales for several purposes. Put 2 or 3 on the front porch, along with some red bandannas, farm stuffed animals, or any animal figurines such as cows, pigs, roosters, chickens, horses, etc. 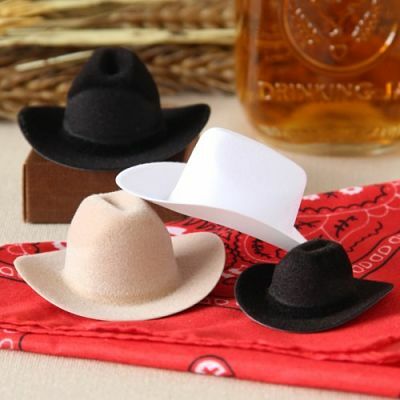 Use mini cowboy hats as decorations or even as little candy dishes or party favors! A cute farm baby shower favor idea is to place small clear bags full of candy into each hat, tie a ribbon around each bag and add a favor tag. Simple and adorable baby shower favors that guests will love! 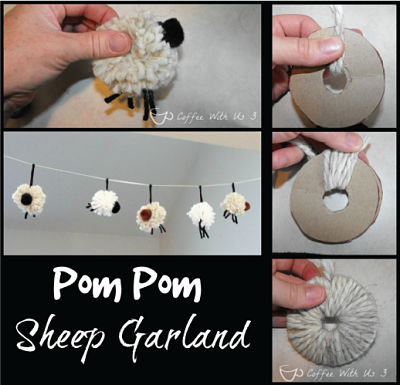 Aren't these pom pom sheep just the sweetest things? We saw them over at the cute blog, Coffee With Us 3, and knew we had to share them with you! You simply make some yarn pom poms, add a store bought little fuzzy pom pom for the head, and use yarn for the hoofs. So cute! roll napkins in red, blue or pink bandannas and tie with jute or string. 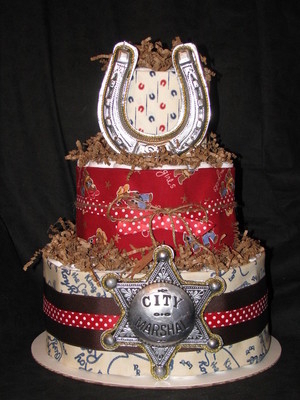 pour chips, nuts or any finger food into a bowl and place the bowl inside cowboy hats or the top of a cowboy boot. purchase farm-themed scrapbook paper at the craft store and use for place mats, cut into strip and wrap around candles, bottled water, vases. You can also use it to make place cards, food labels or name tags. use old or new red wagons for decorating. set a kid sized wheelbarrow or tractor on the table and serve food in it. Or use to place presents in them. Get a large bucket, fill it with fried chicken and put a cute little sign on the bucket saying "Chicken Feed"
Serve big chocolate cookies and have a cute sign next to them saying "Cow Chips"
Some cute gift ideas for the baby are baby cowboy boots, stuffed cows or horses, themed books such as "Cow Moo Me" or "Old MacDonald Had A Farm"
I need some ideas for a farm animal centerpiece. I am hosting a baby shower for my niece. Her nursery theme is farm animals. I am trying to come up with an idea for centerpieces for the tables. I have purchased stuffed farm animals, but need ideas to incorporate them into the tablescape. You could buy a toy tractor and mini hay bales (found at craft stores) and then place the farm animals around and in the tractor. You could do small silver galvanized buckets filled with daisies. You could also wrap the buckets with bandannas.